Was here about almost soon 20 years ago, but somehow I didn't memorize much of what I've seen and also didn't take any photos. 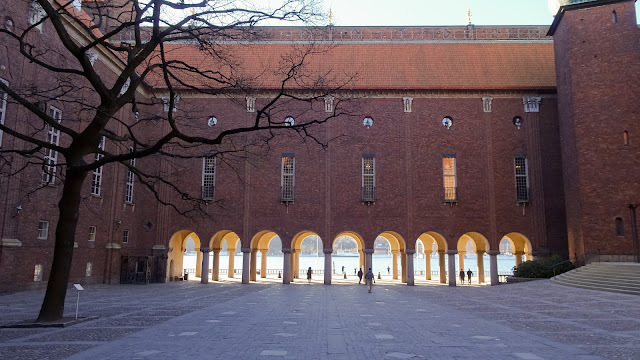 But it just wasn't common back then to take photos of every brick as digital cameras were still in the planning and smartphone didn't exist. 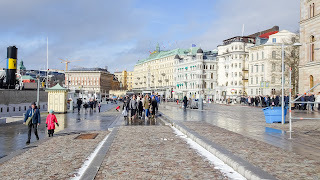 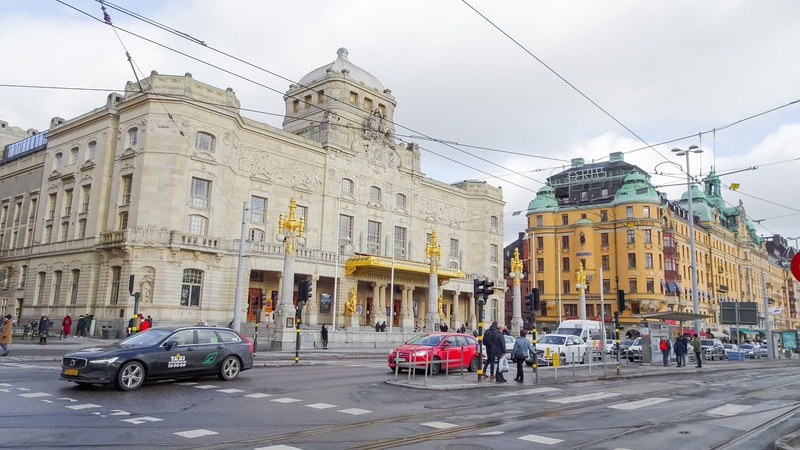 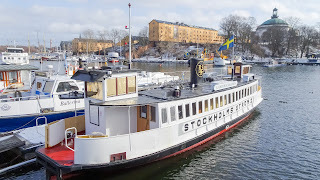 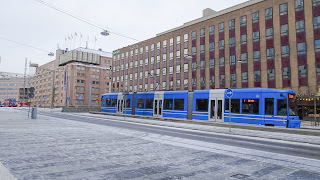 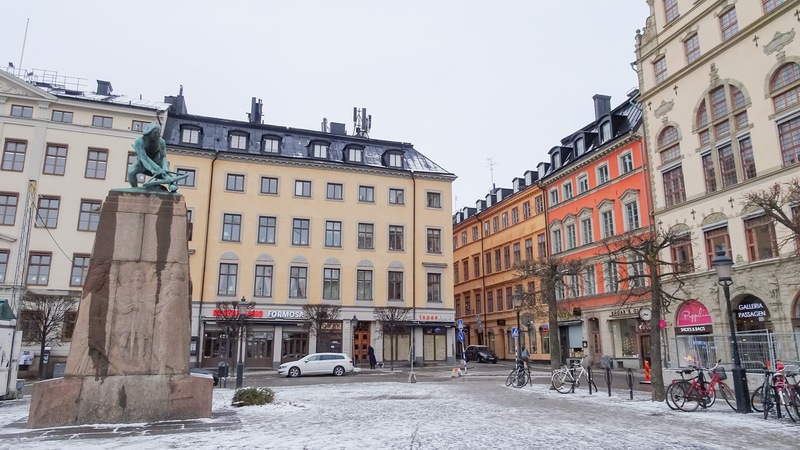 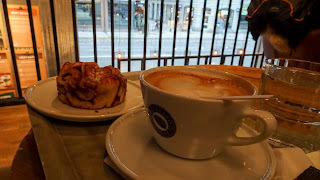 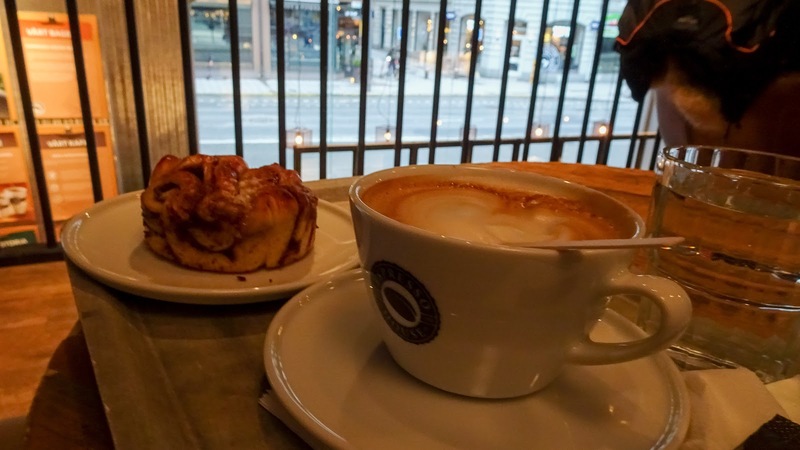 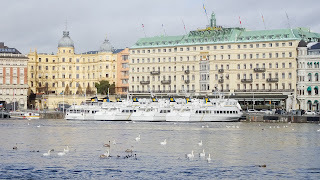 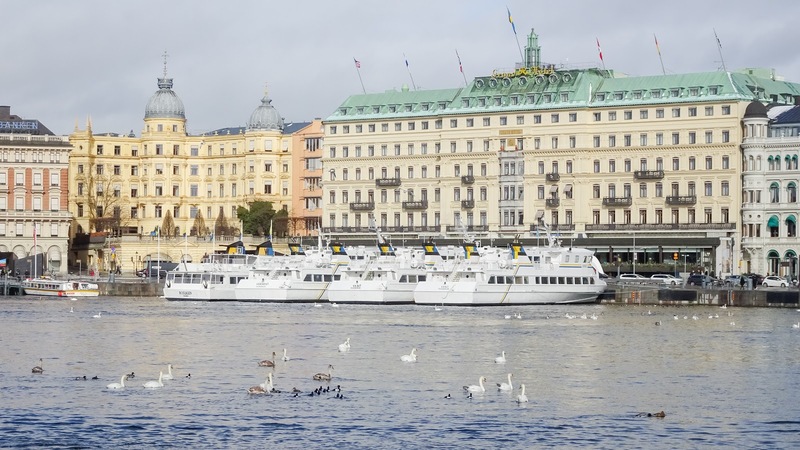 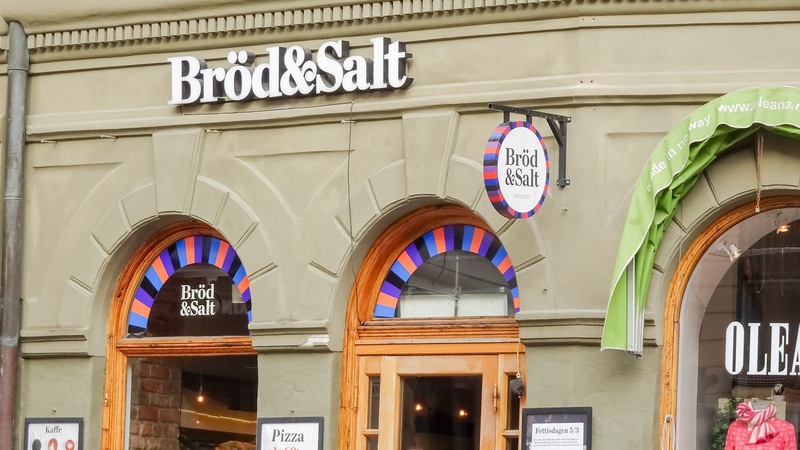 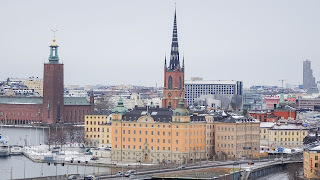 It was interesting to see Stockholm again and it was surprising that when seeing these streets and most famous buildings again, how memories of the first visit back then start to regain. 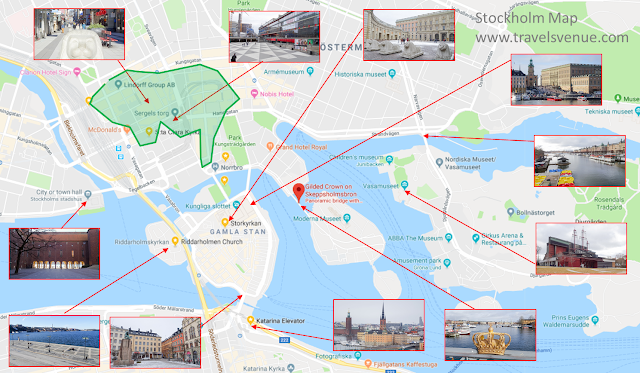 The airport in Stockholm is far from the city center. 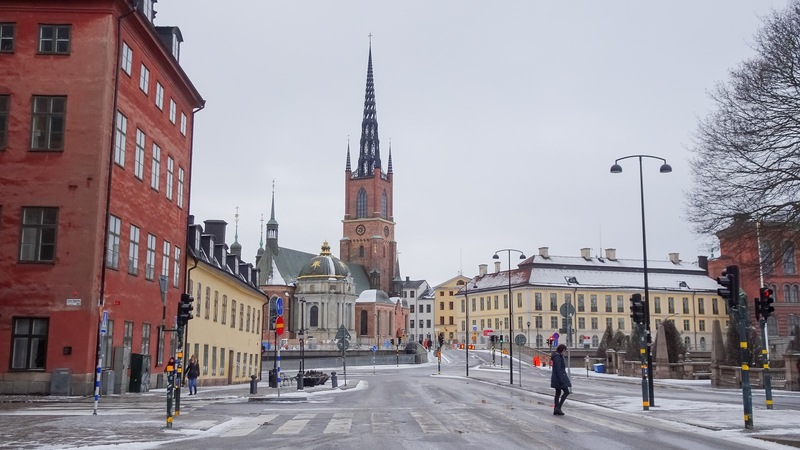 A 45-minute bus ride it takes to be shifted from there to downtown Stockholm. 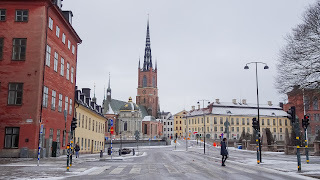 That weekend it was still freezing and busts of very cold wind and snow pushed through the streets. 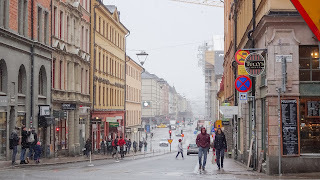 On Saturday it wasn't much better with the weather but at least no more rain or snow coming from the clouds. 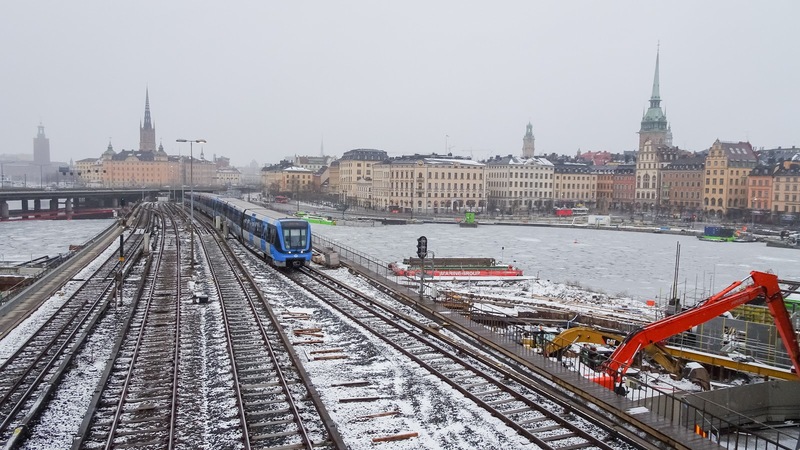 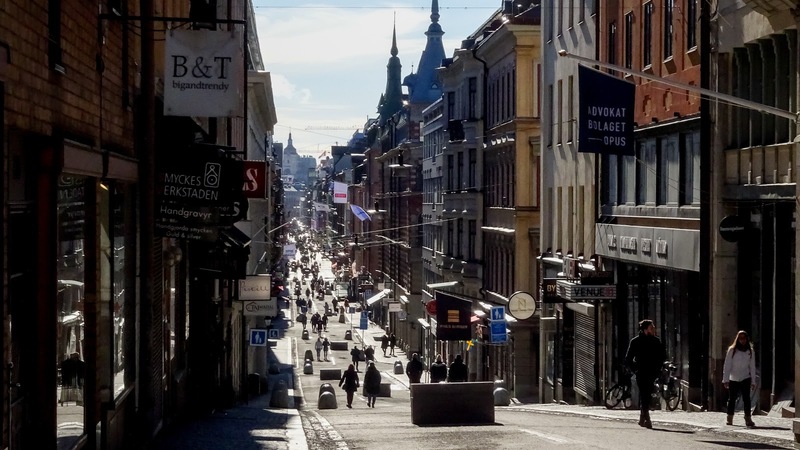 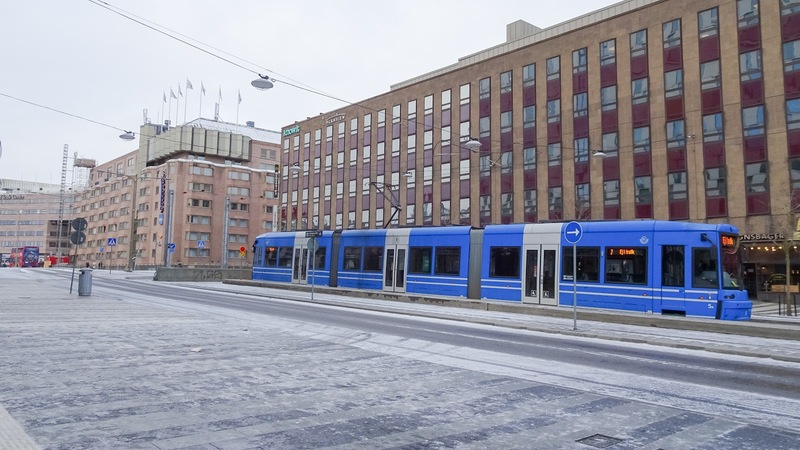 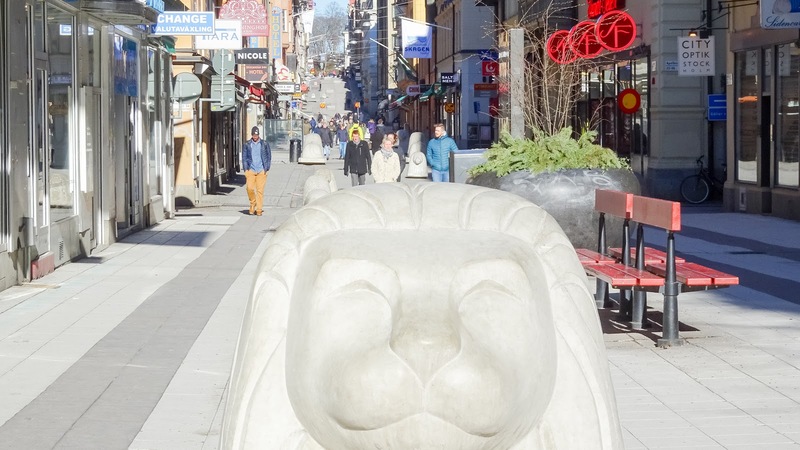 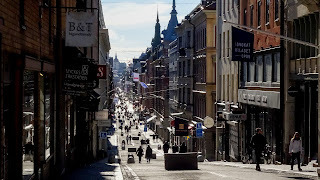 Stockholm is convenient to walk. Was considering riding around Stockholm with the hop on hop off bus but it definitely isn't necessary or one must be very lazy when taking a hop on the bus. 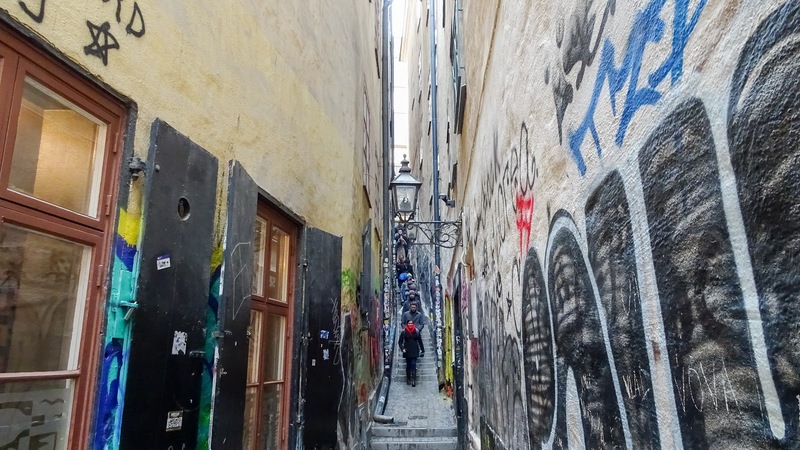 In addition, there aren't so many spectacular things to see where it is worth spending an hour or so in one place. 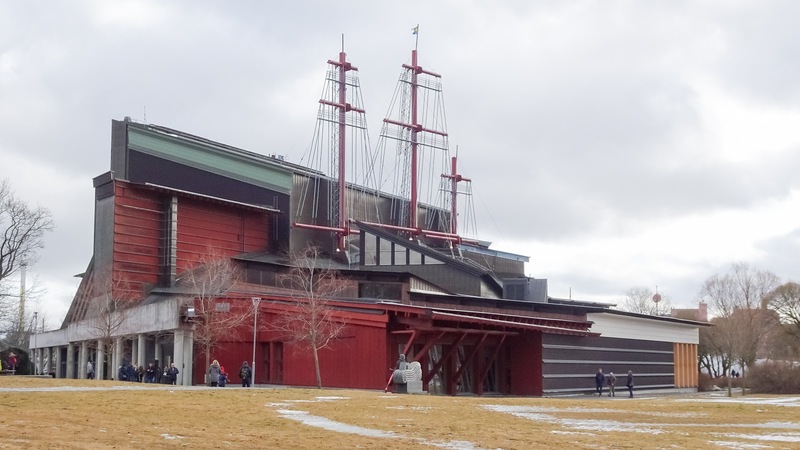 Well, maybe the museum, the vasa museum, with the old ancient Viking boat. Was not interested in all these museums and so visiting the city in two days is easy. Stockholm is good for a walkthrough. There are not that many things to see which are super spectacular. 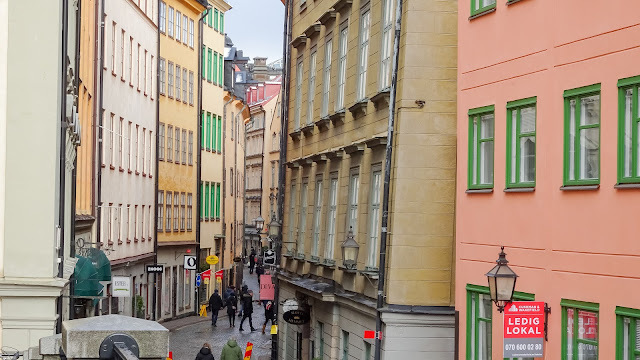 Yes, nice to see and look while walking by. 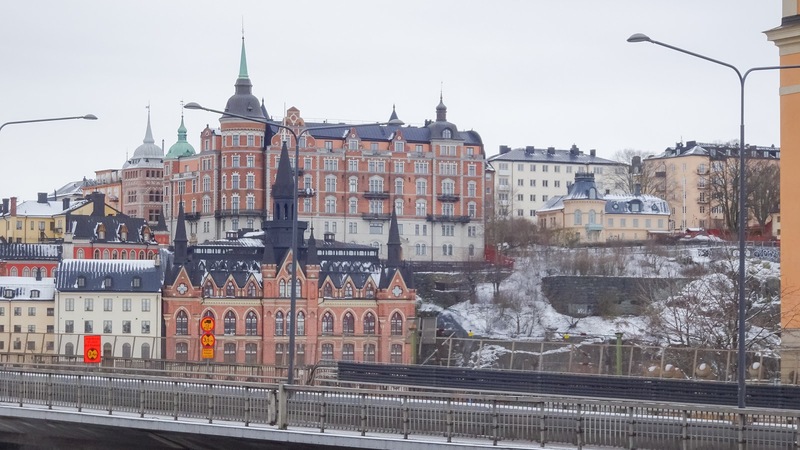 But surely that is because I'm used to these kinds of city architecture from back home - and here back home it almost looks the same as in Stockholm. 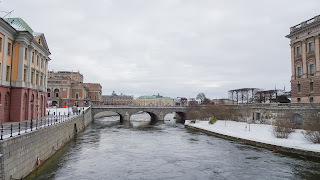 Nevertheless, even with the cold weather, I tried to make the best out of my visit. 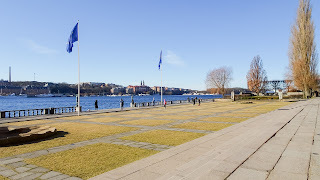 On Sunday even the sun appeared in a blue sky. 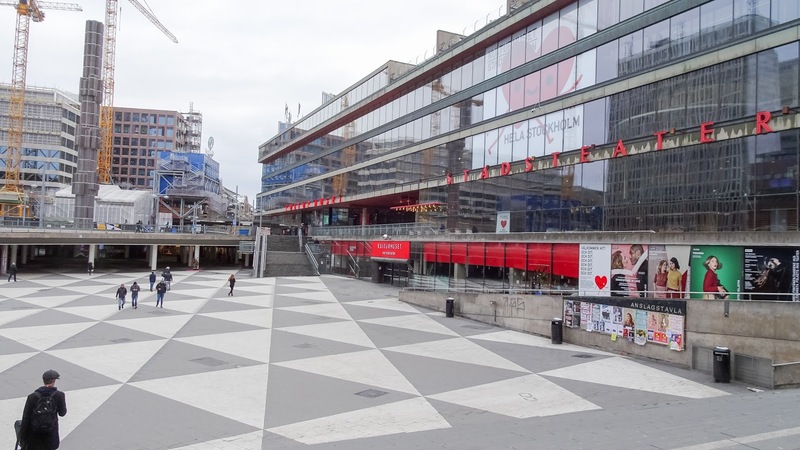 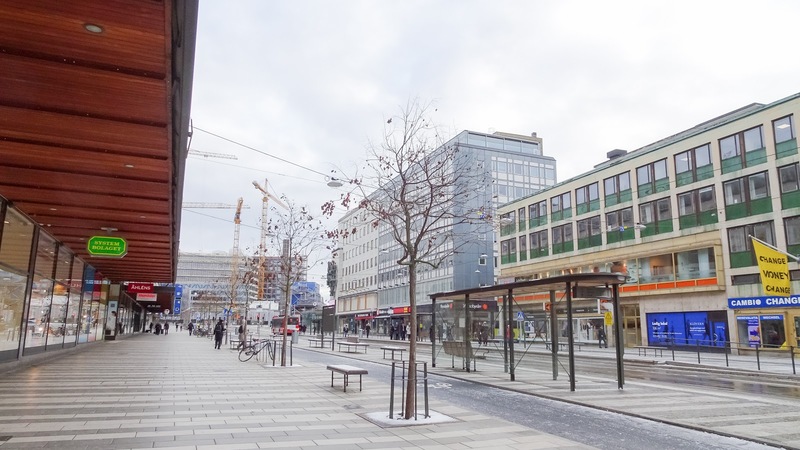 Area around the Plaza "Sergels torg". 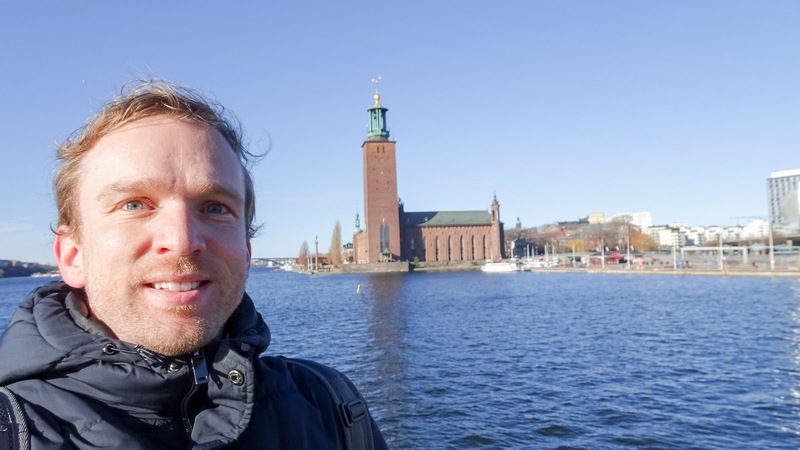 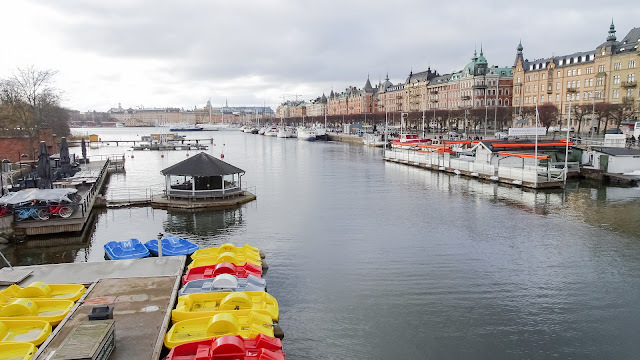 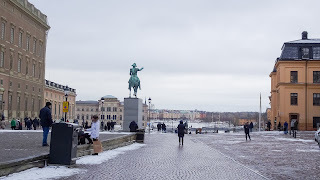 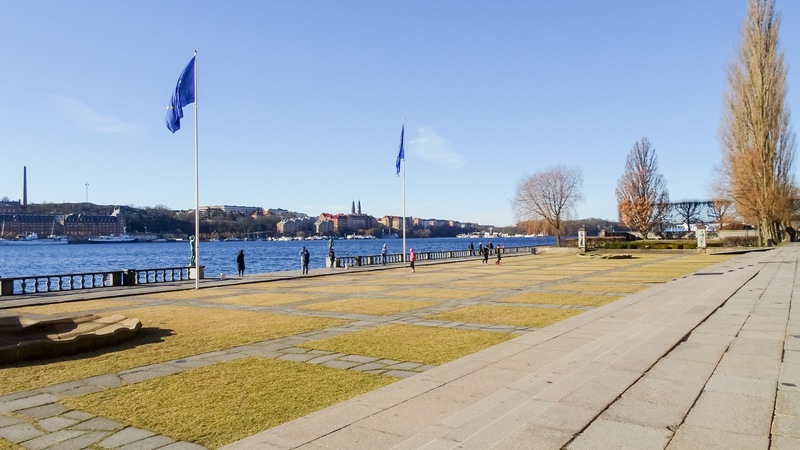 Around the "Swedish Parliament House" and towards mini island "Gamla Stan". 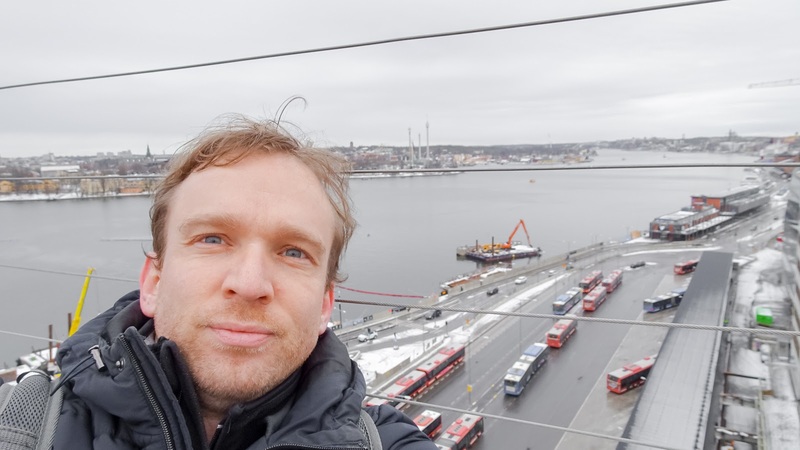 View from the Katarina Elevator. 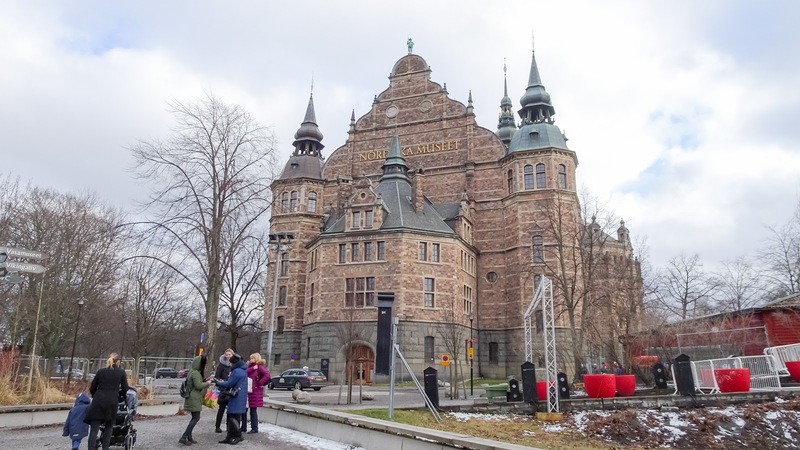 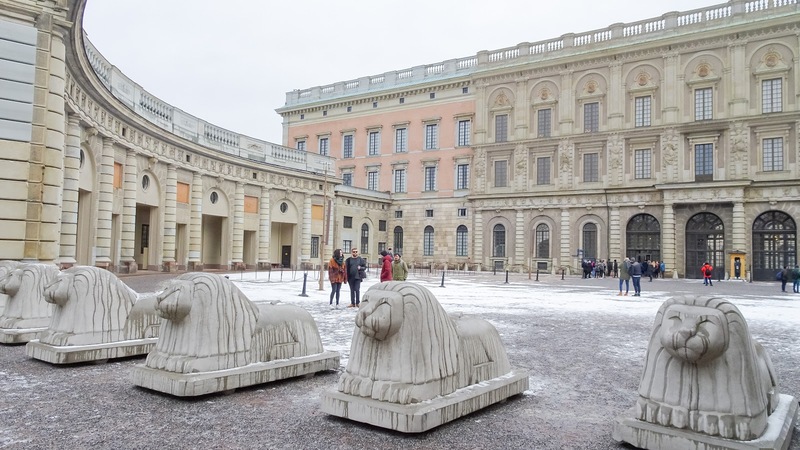 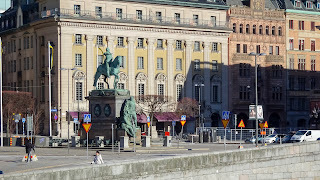 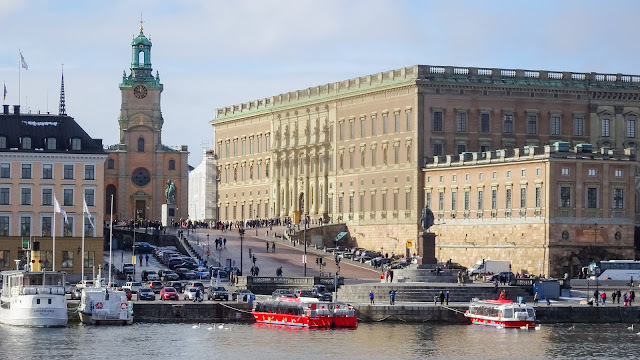 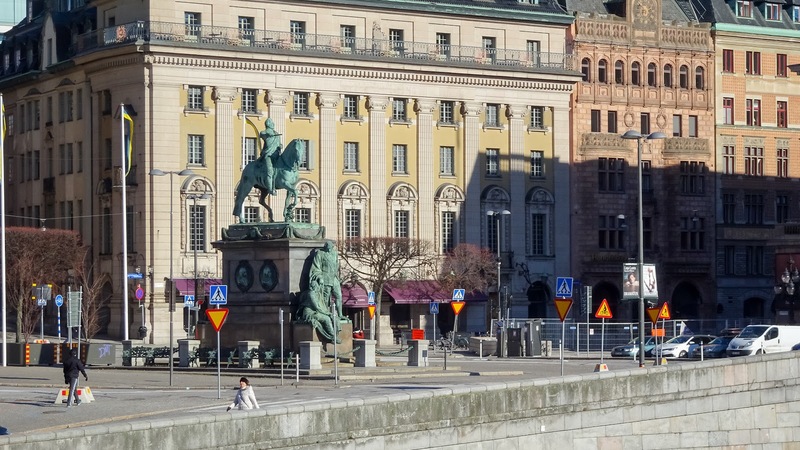 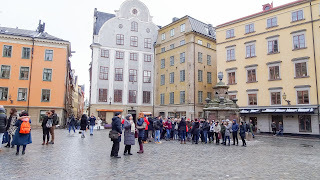 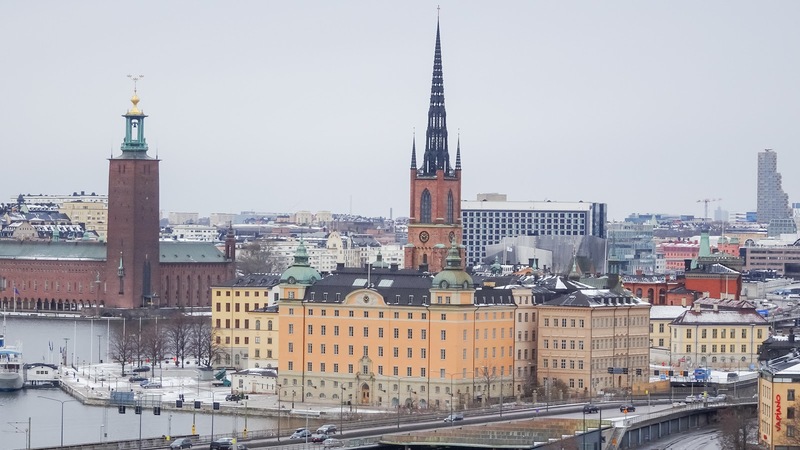 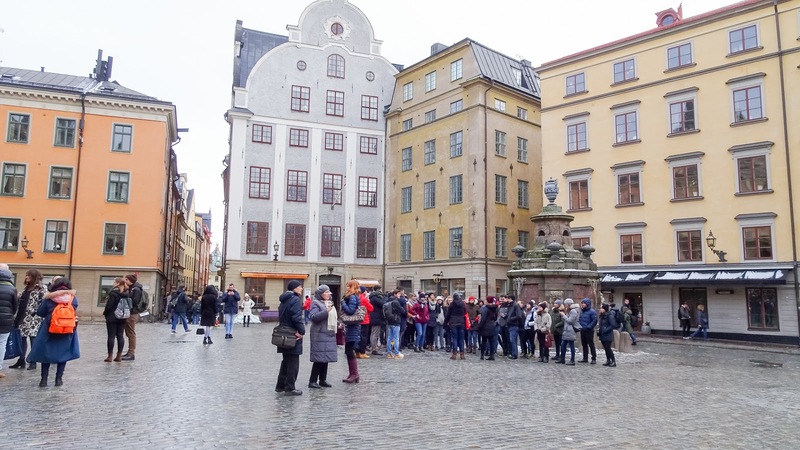 The "Royal Palace" and around "Gamla Stan" again. 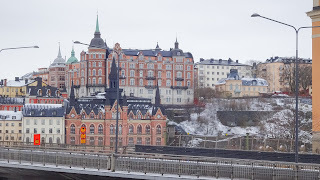 East of "Gamla Stan" again, towards "Norrmalm". 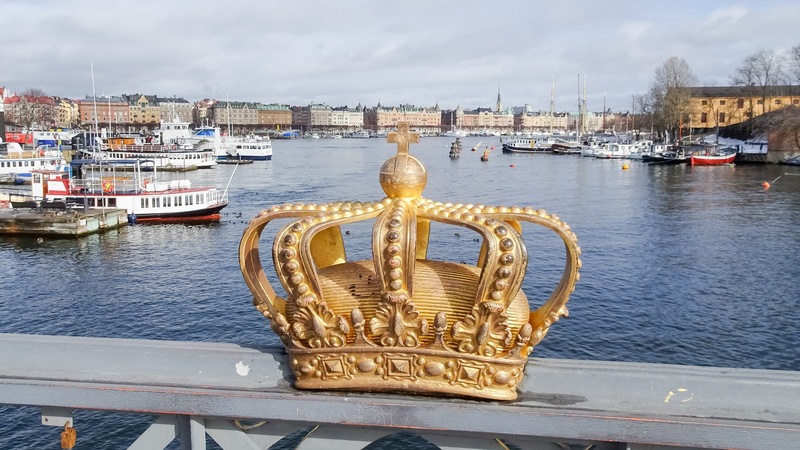 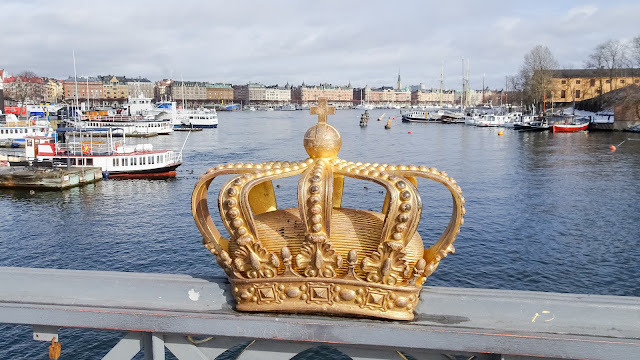 View on the "Royal Palace" from the bridge with the "Gilded Crown on Skeppsholmsbron". 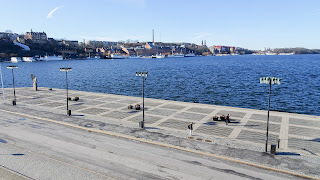 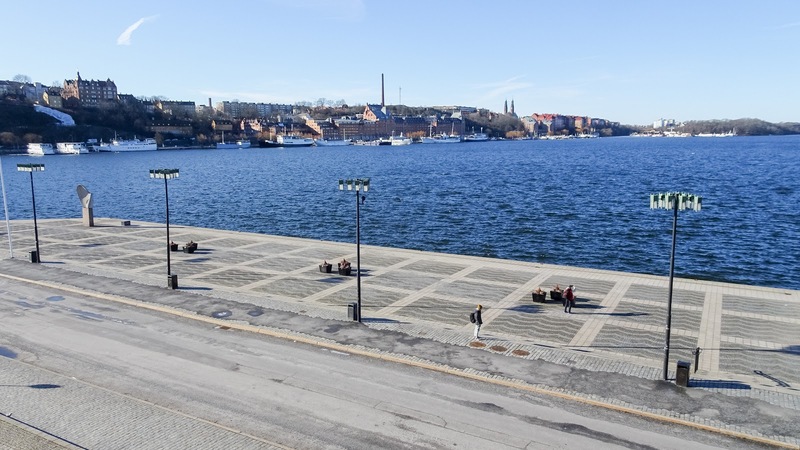 Area around the Vasamuseum. 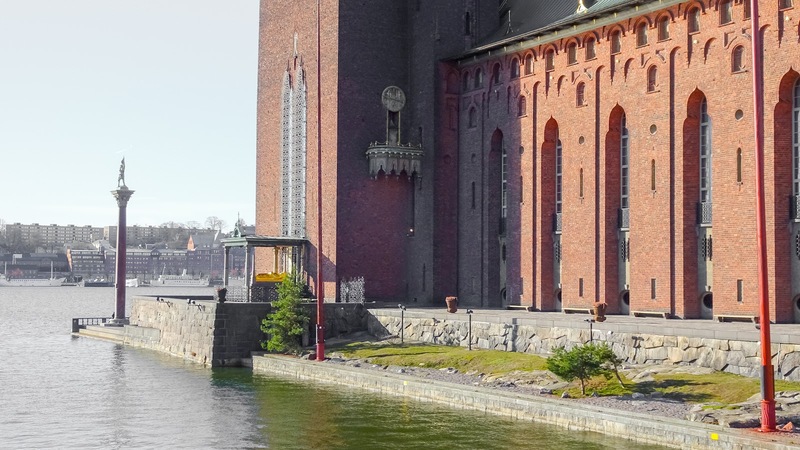 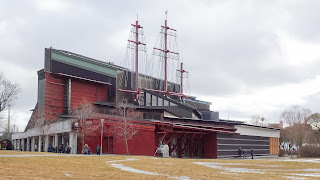 The Vasamuseum is the museum with the old ancient viking ship inside. 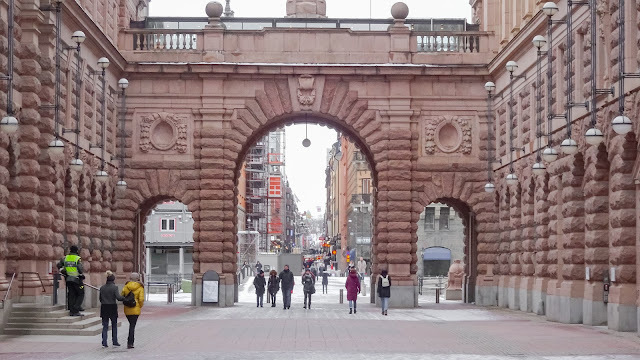 Finishing my visit to Stockholm with a last walk towards Norrmalm Shopping Street and the view from Courthouse Area. 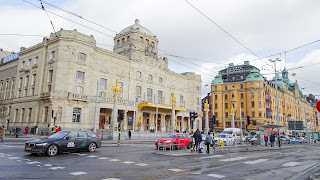 Also the Opera house.